A spring semester full of snow days! 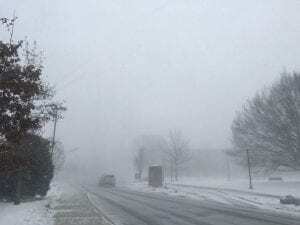 This semester, Penn State has had an unprecedented number of snow day cancellations and early dismissals. 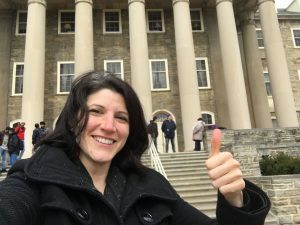 Much to the joy of students across campus, Penn State declared early dismissals on January 24th and 30th in addition to whole day cancellations on January 31st, February 12th and 20th. While most of the Penn State community enjoyed the days off, many faculty were concerned about getting behind in their syllabi since the snows days often affected Tuesday/Thursday classes. 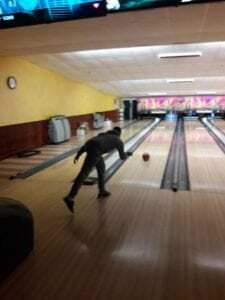 However, several IECP students and faculty agreed that walking conditions were often very slippery. 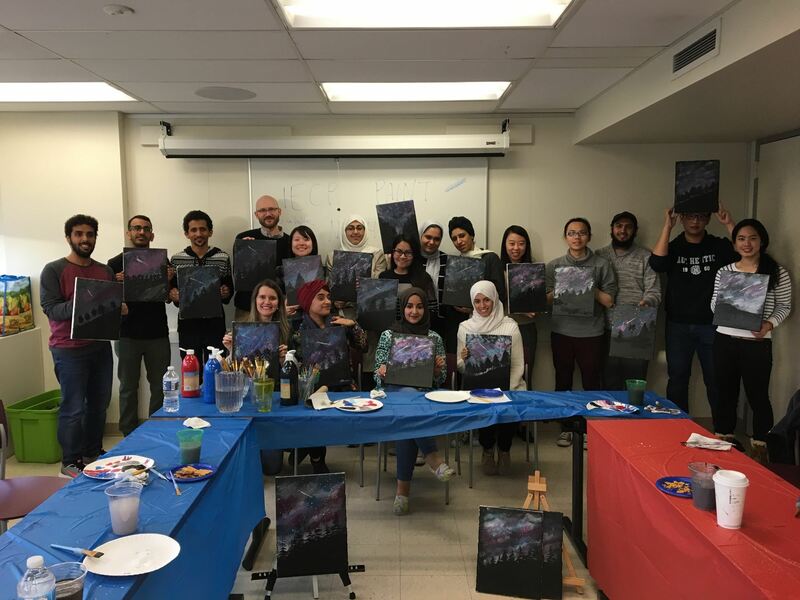 Despite the snow and ice, the IECP has remained busy with studies and social activities! 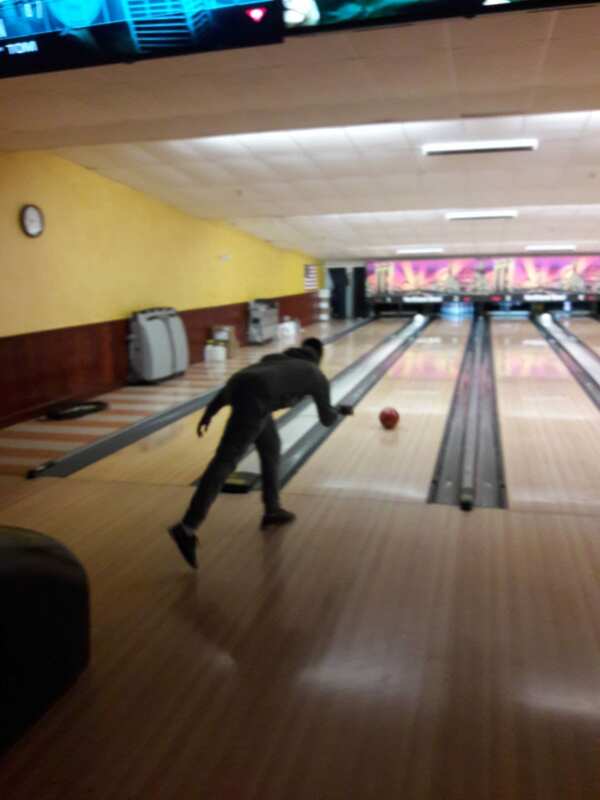 February 1st was bowling night, an IECP tradition! Students could bowl, enjoy some yummy pizza, or even play pool (billiards). 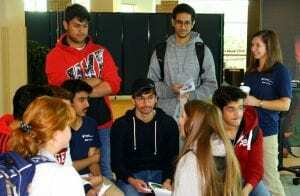 Currently, the upper level Academic Interactions classes are already in their third week of conversation partner meetings with students in APLNG 484. 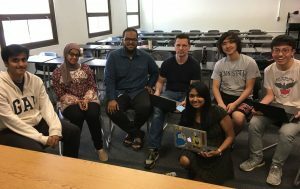 Students in Ai140 meet once a week with an American student to exchange cultural insight and gain understanding of things like language and academics. 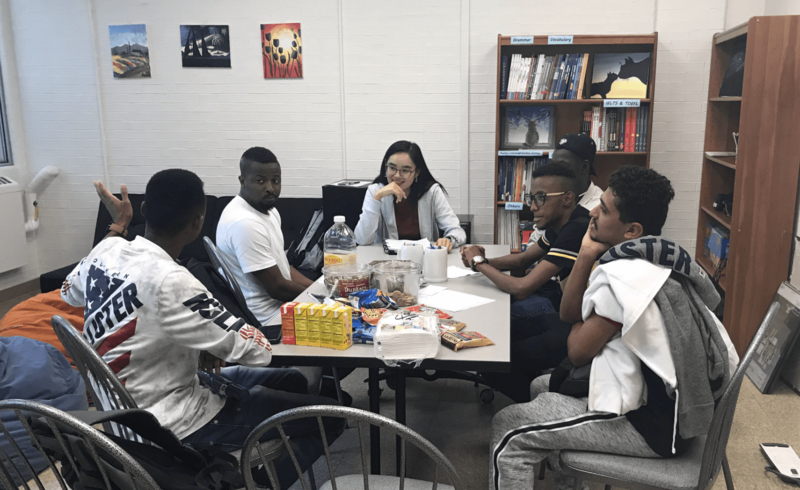 While students are only required to meet for one hour a week, many report that they end up taking two hours because they have so much to talk about! 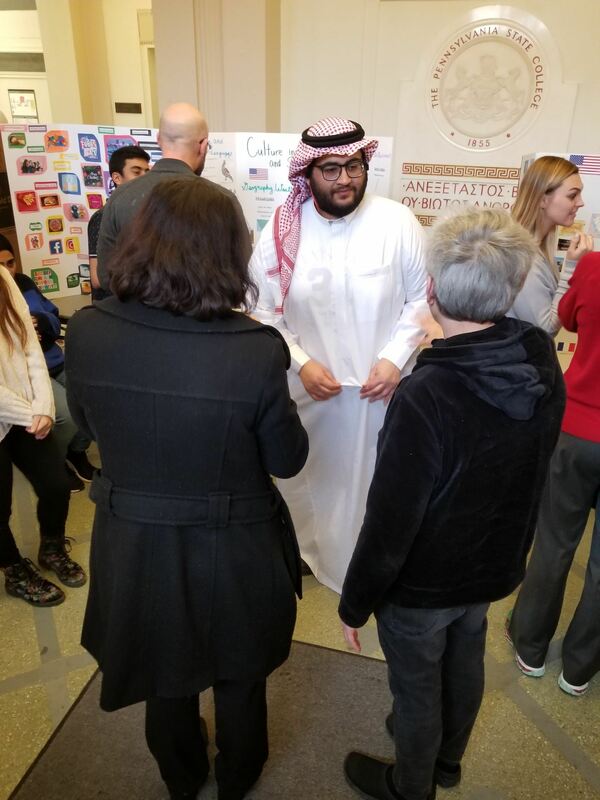 On Sunday, February 24, the Penn State Kuwaiti Student Association hosted a beautiful evening of culture, history, and food at the Kuwaiti National Day celebration. Many IECP students (and their families!) were featured in several impressive video presentations and stage performances. Attendees enjoyed informative booths, treats and coffee, and even a magic show before dinner. 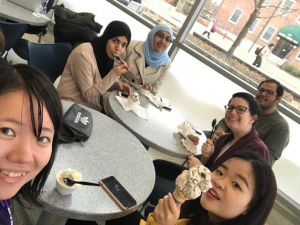 Most IECP students are likely relieved that midterms are over and look forward to the Spring break. Several IECP students report that they will be traveling over break to cities such as: New York, Pittsburgh, Orlando, Miami, and Los Angeles. The IECP looks forward to everyone’s return at our new downtown location: 112 W Foster Avenue, 4th floor! Pictured above: (left) Student speakers Rawan Almakinah, Bandar Alhaheri, and Husain Alattar delivered thoughtful speeches highlighting IECP lessons and memories at the Awards Ceremony. 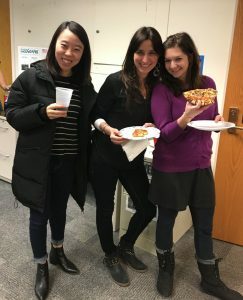 The IECP celebrated the end of another semester at the Fall 2018 Awards Ceremony on Thursday, December 6 after the last day of classes. Students were recognized for outstanding attendance, university acceptance and outstanding poster presentations. 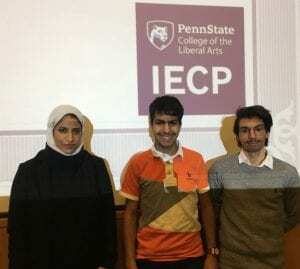 The IECP congratulates Ali Esmail, Abdulaziz Ali, and Husain Alattar who will move on to Penn State as undergraduate students in the College of Engineering. 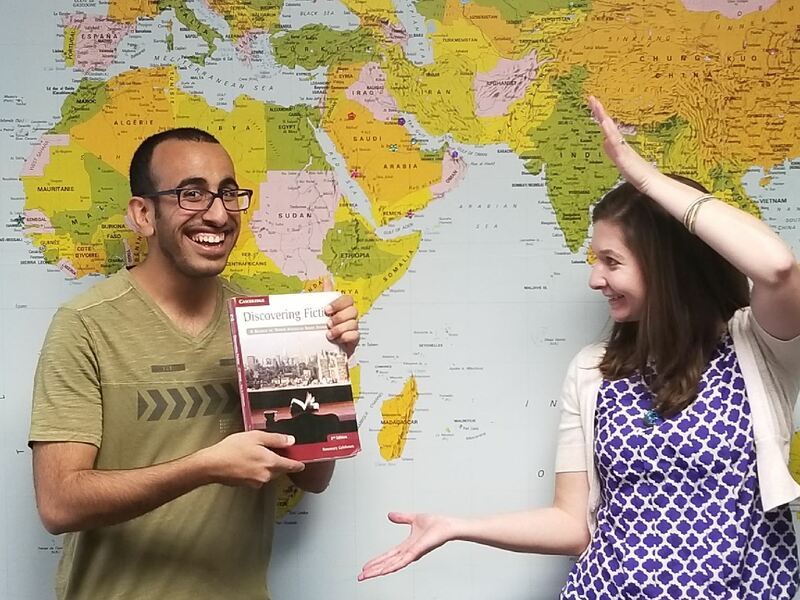 In addition, we wish the best to Rawan Almakinah who will begin her graduate studies at the Virginia Commonwealth University. Pictured above: Royal Saudi Navy students stand to recognized in room 100 of Huck Life Sciences building, where the Awards Ceremony was held. The event was also an opportunity to recognize the hard work of the Royal Saudi Navy students in our program. These students in particular dedicate many hours a week to classes and studies as they prepare to be able to train with the U.S. military in Pensacola, Florida. At the end of the Awards Ceremony event, three speakers delivered speeches commemorating their time at the IECP before the concluding photo slideshow was presented. Of course, a few selfies were taken when it was time to say goodbye. Pictured above: IECP students pose for the traditional semester photo, this time on Wagner Building’s steps. Mother nature had other plans this semester for the traditional group photo at Old Main. Due to snow on November 15 and 16, Penn State’s campus closed, and as a result, the IECP had to reschedule its photo. 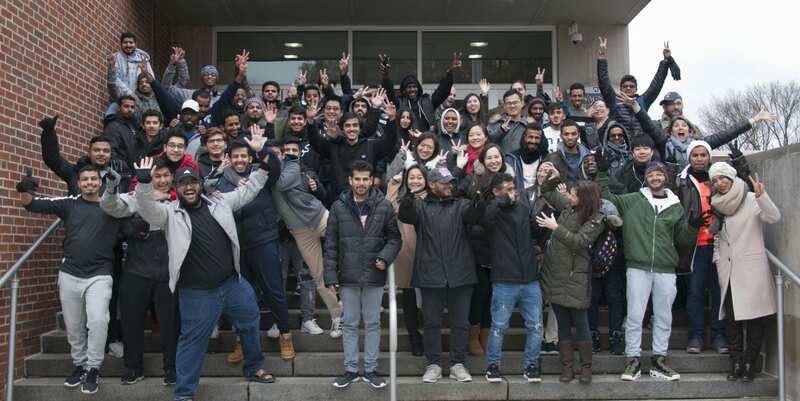 Out of convenience, the fall 2018 photo was shot on the steps of our beloved Wagner Building, where most of IECP classes are held. 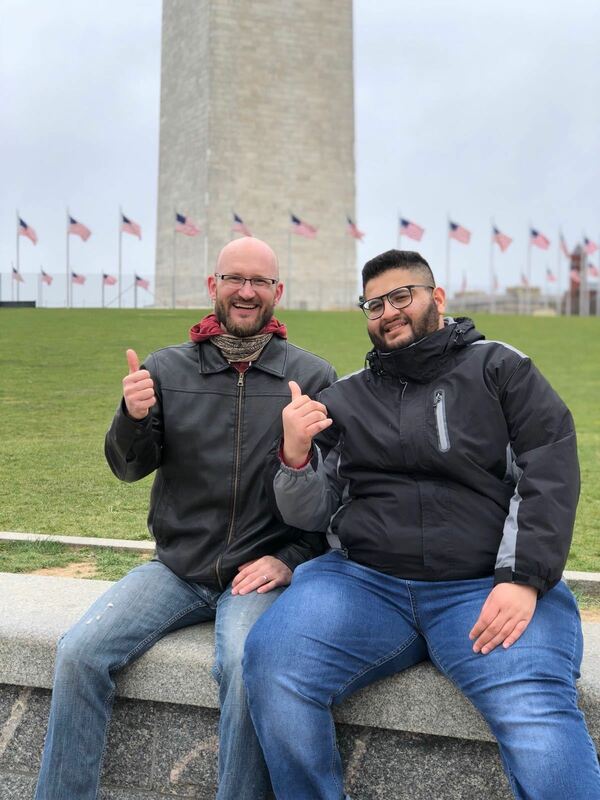 It was a chilly day, for certain, but students and faculty had fun hamming it up for the camera man. The IECP wishes everyone a happy break, and we look forward to seeing you in the new year! To those of you moving on, we wish you the best and hope you keep us updated on all your new adventures! Pictured above: Nikki Mattson (right, standing) along with IECP students and PSU students interested in the Global Engagement Community. 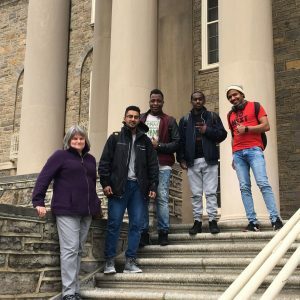 When IECP students first arrive in the State College, one of the first things they need to figure out is housing. Many students would like to live on campus but don’t know where to begin. 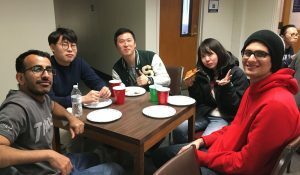 As a result, many students live off-campus in apartments, which might not enable much English practice or cultural immersion. This issue has been a concern for Associate Teaching Professor Nikki Mattson for years. 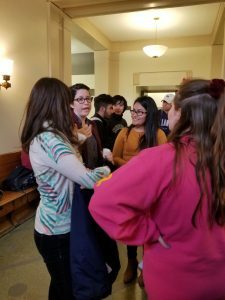 Students often approach her to ask advice on how to live on campus. However, she was not always satisfied with the options available. 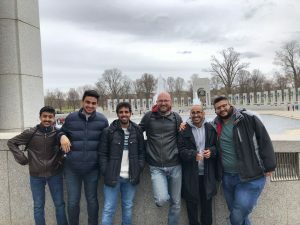 Because of this, it has been a dream of Mattson’s to develop an international living community at Penn State, which is something that can be found on many other U.S. campuses, often called international houses. 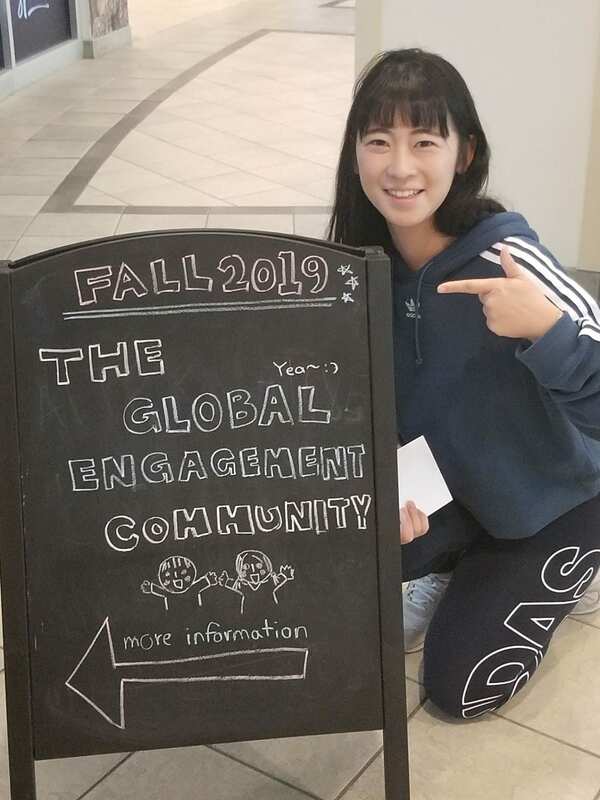 Pictured above: current IECP student Yeeji Seo promoting the opening of the Global Engagement Community in Beaver Hall starting Fall 2019. Finally, Mattson is making her dream reality. Along with EPPIC and the Penn State housing office and the support of Global Programs, she has worked tirelessly to create Penn State’s first ever Global Engagement Community. This community will allow international students (including IECP students) and domestic students to live together in Beaver Hall while they share social, cultural and learning opportunities. 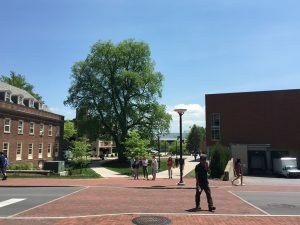 The community will open officially in Fall 2019 but students can sign up now. Applications are live on Penn State’s housing website under special living options, under Global Engagement Community link, or just click here. You can read more about this in the Collegian newspaper’s article, Global Engagement Community aims to help students experience new cultures, which features an interview with IECP student Miriam Risco. Congratulations Nikki! 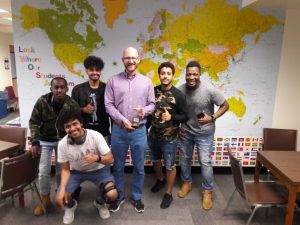 We appreciate all your service to the IECP and Penn State’s growing global community! This past week, full-time IECP students accomplished an impressive task: they took a total of four midterm exams! 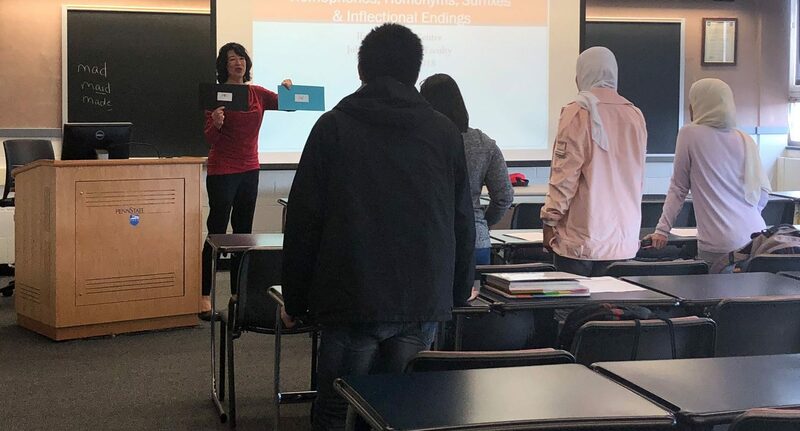 For the first time, the IECP program delivered four midterm exams, including the usual Academic Interactions and Academic Literacies tests in addition to exams Grammar & Speaking Skills and Grammar & Writing Skills. 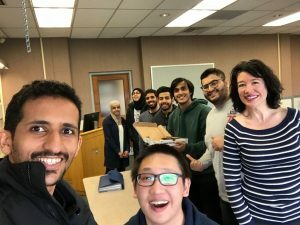 By the end of the week, many students (and faculty!) were tired and ready for a well-deserved break. 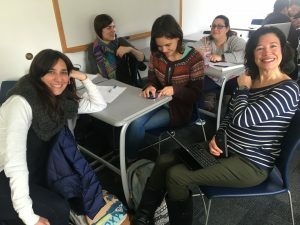 However, in addition to providing the usual language-learning of the classroom, the IECP has been offering many opportunities for fun social interaction. 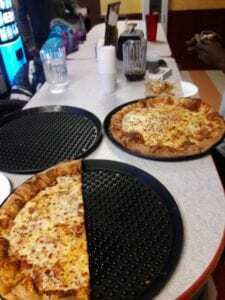 For example, on September 6 there was the always-popular pizza party in the Ritenour lobby. On September 13, the IECP Tutoring Center hosted its first Conversation Table of the semester in Pond Building. Conversation Table is a great way to practice speaking in English in a relaxed environment. The next Conversation Table will take place Thursday, October 11 at 4:30 in 322 an 326 Pond Building. We hope to see you there! 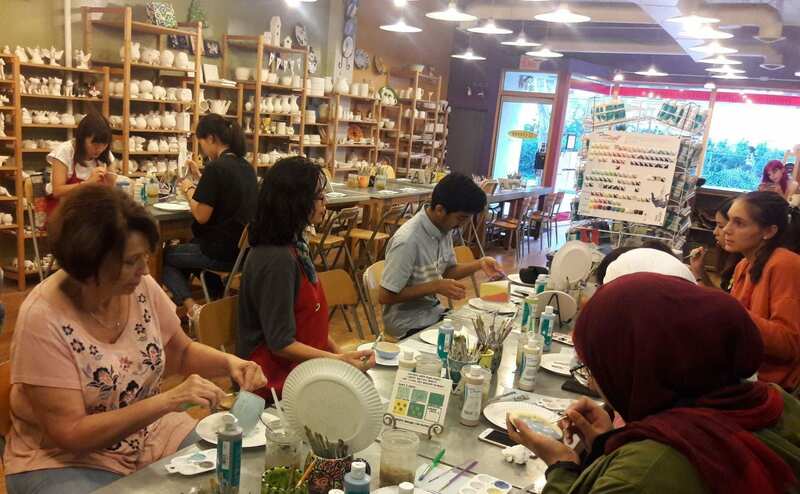 Finally, on September 18 a group of very creative IECP faculty and staff attended the traditional visit to 2000 degrees in downtown State College, where they painted pottery. Great job artists! Keep up the great work in your classes, everyone! And, as always, check email and social media to stay up to date with our great social events. 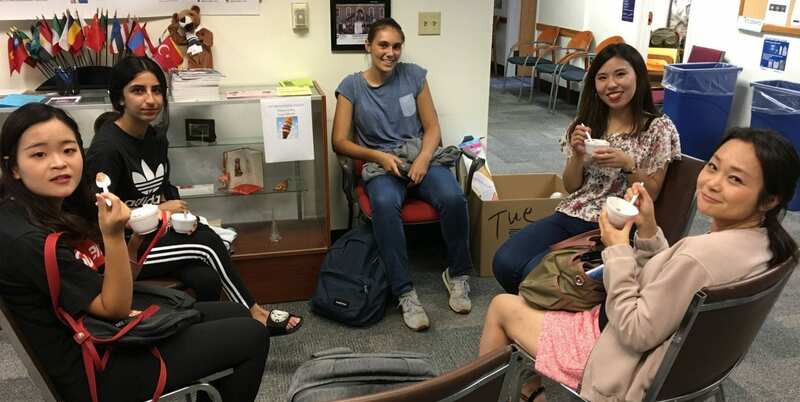 On August 14 more than 50 new students arrived at the Nittany Lion Inn on campus to start their new adventure at the IECP! 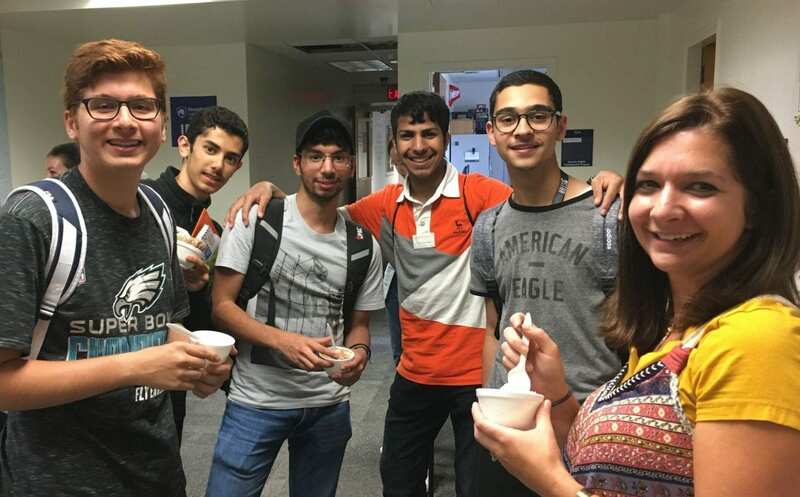 Students from Saudi Arabia, Kuwait, Spain, Japan, China, Kazakhstan and the UAE were joined by returning students arriving the following week. To celebrate, students and faculty fathered for an ice cream social in Ritenour Lobby. 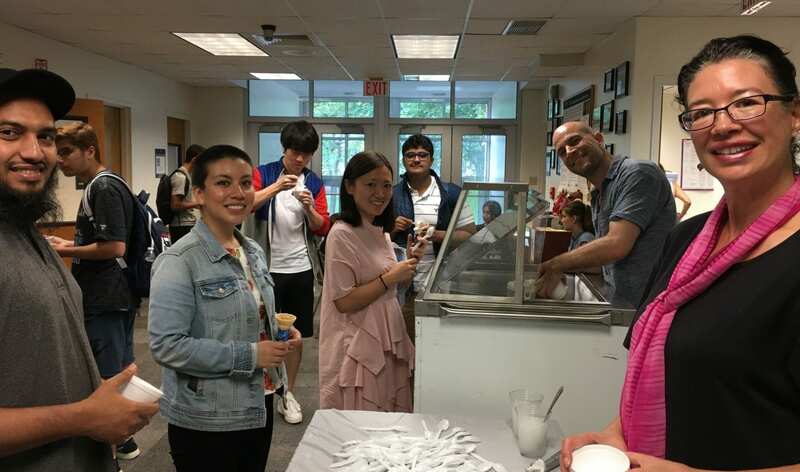 Everyone enjoyed the world-famous Berkey ice-cream delivered straight from the Creamery. We are only two weeks into the new semester, but everyone is probably looking forward to the long weekend thanks for Labor Day. (No class on Monday, September 3!). 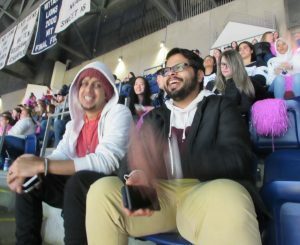 Several IECP students will take advantage of the extra day off and travel to nearby cities like Philly or NYC. Other students claim they will be busy studying for the TOEFL (October 12). Still others will probably be catching up on sleep. 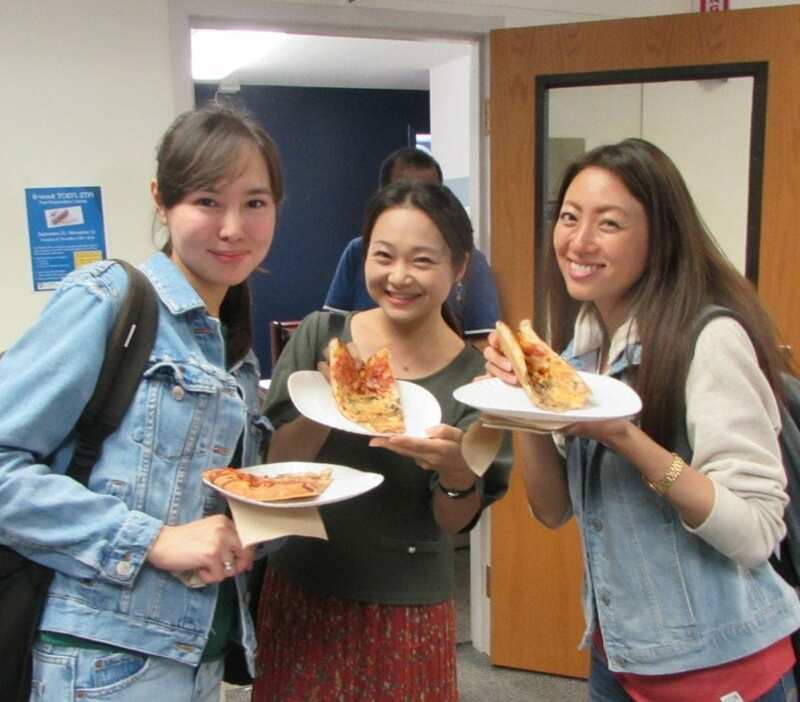 Whatever your plans are, enjoy the weekend, and we hope to see you at our ITC Social Event on Tuesday, September 4 and at our Pizza Party on Thursday, September 6! 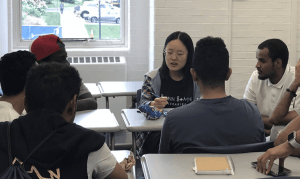 The IECP Blog is pleased to feature Zhenzi Xu in its first Student Spotlight post! Zhenzi is from China and has been studying in the IECP since the spring 2018 semester. As you might have guessed from the photo above, Zhenzi has a very unique hobby: horse riding. 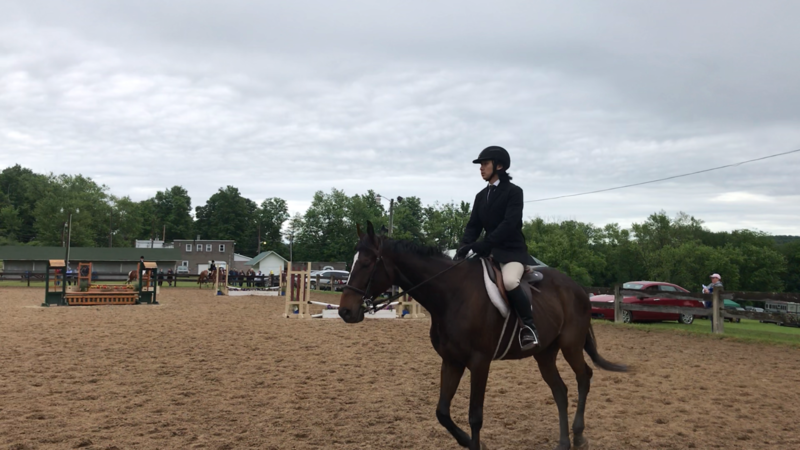 Not only does he enjoy riding horses, but he also competes in local competitions where he has already won many ribbons for different skills. It is really remarkable because Zhenzi has only been riding for a year! In addition, Zhenzi reports he is the only non-American he has seen in competition and one of very few men. Zhenzi even has purchased his very own horse, which he named Wifi. He and Wifi have won many ribbons together. According to Zhenzi, horses are spiritual animals that can communicate with and understand people. 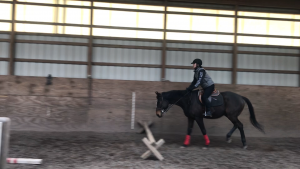 What made you first interested in horses? I am interested in horses when I watch the Kentucky Derby. I am interested to see the majesty of thoroughbreds at full speed. It is amazing in person when you can feel the earth move beneath your feet. The horse is an amazing animal. 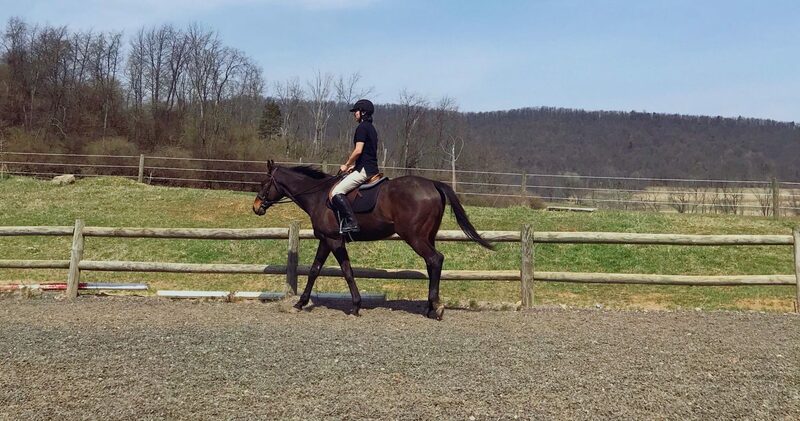 How long have you been riding and competing? 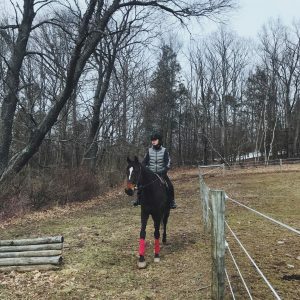 I have been riding…since last June. I have been competing for a year. What have you learned about American culture through this activity? 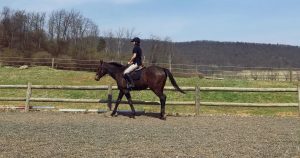 I have learned responsibility because you have to come out and take care of your horse every day even when you are sick or lazy. You can’t just decide not to come in. Horses depend on you. What do you recommend to people who are interested in horse riding? Horseback riding is an amazing game. You may learn the value of hard work. 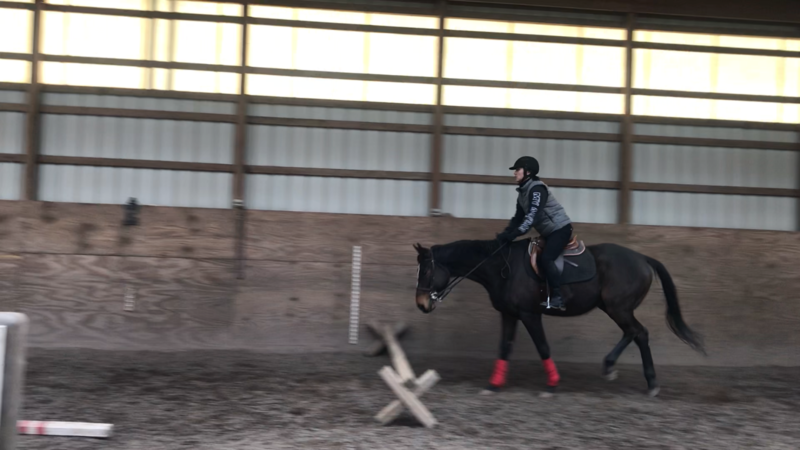 Sometimes it takes weeks or even months to perfect your riding skill. If you spend hours and hours to keep training you will overcome it. We look forward to hearing more about Zhenzi’s and Wifi’s adventures together! If you have a question or comment for Zhenzi, comment below! 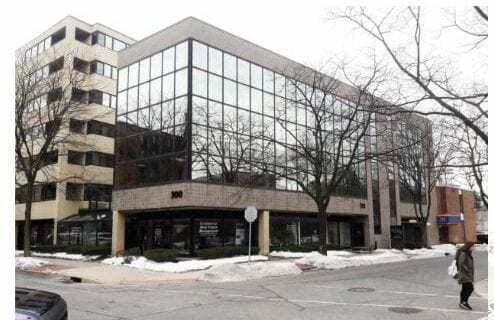 Alice Cooper’s classic rock anthem does not apply to the IECP. Instead, school’s in for summer! 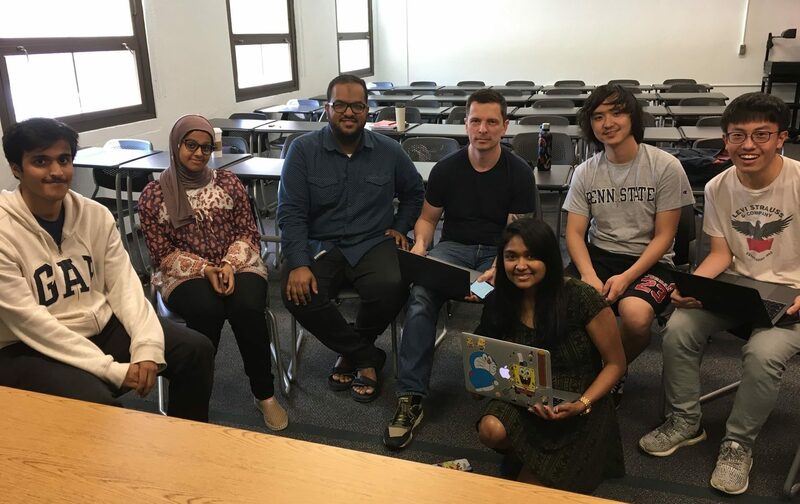 Last week, students, faculty and staff began the summer 2018 semester at the IECP after a very short break from the spring term. 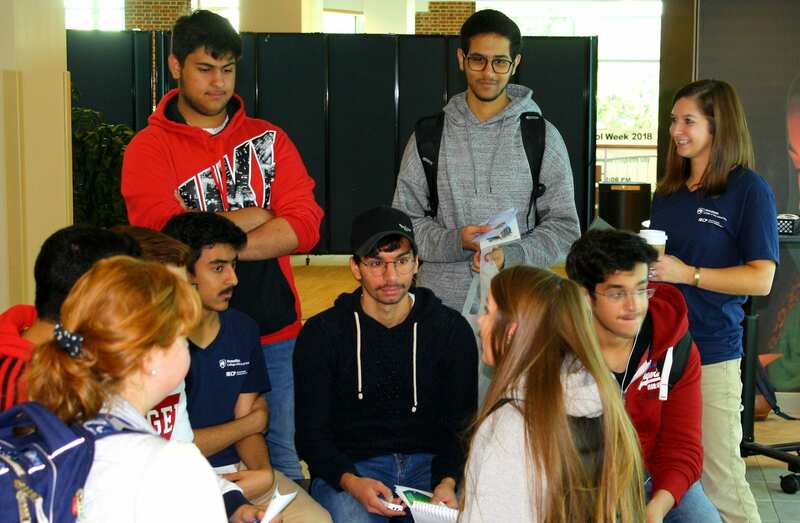 The IECP welcomed new students hailing from India, Japan, Russia and Saudi Arabia, who join returning students from Brazil, China, Kuwait, and Saudi Arabia. 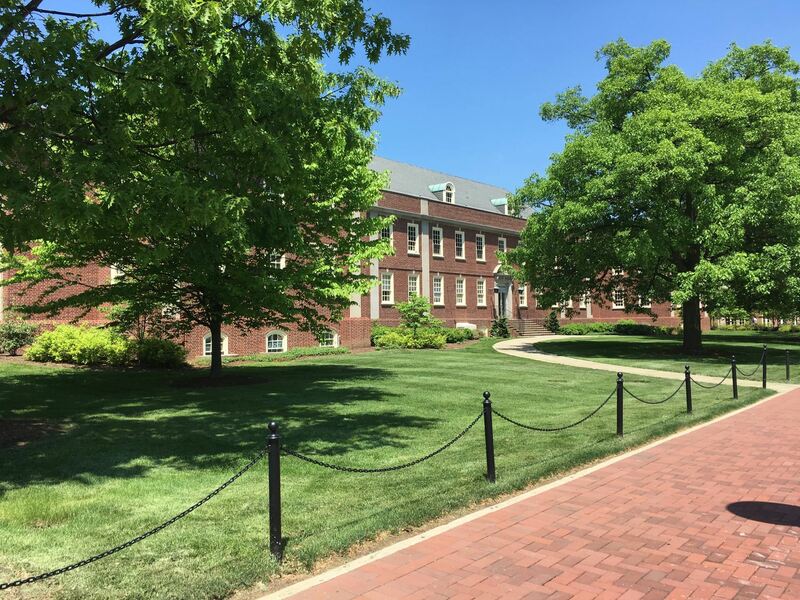 Since summer semester is only ten weeks long, classes have hit the ground running! 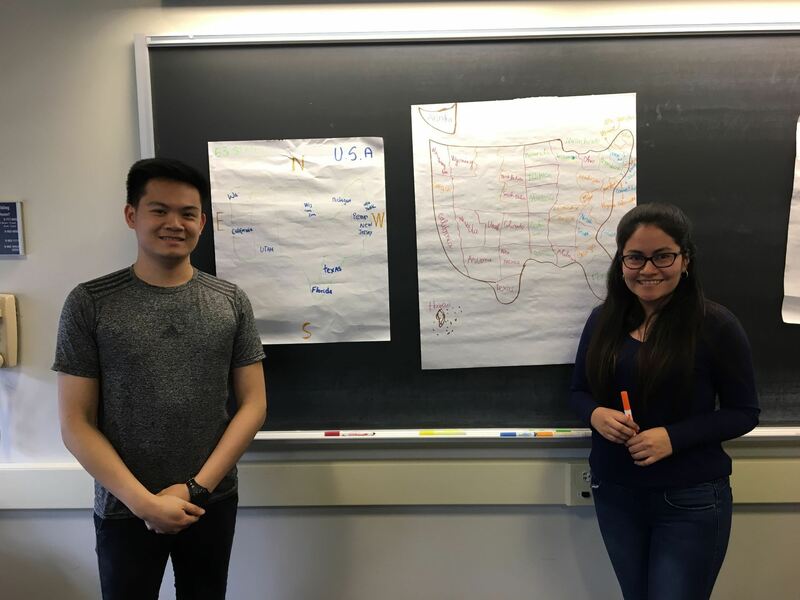 Pictured above are students from Jackie Gianico’s Academic Interactions class who just completed a “Three Things I Want You to Know about my Country” presentation, created by their Grammar for Interactions teacher, Elliot Hirschon. Students enjoyed hearing from their classmates and engaged in interesting and often humorous conversations about cultural differences. 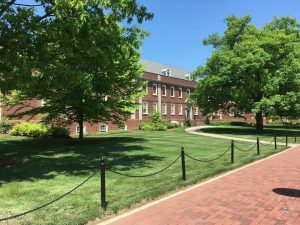 After a long winter, Penn State’s campus is finally green and lush and playing host to summer camps, school groups, and of course the international students of the IECP. 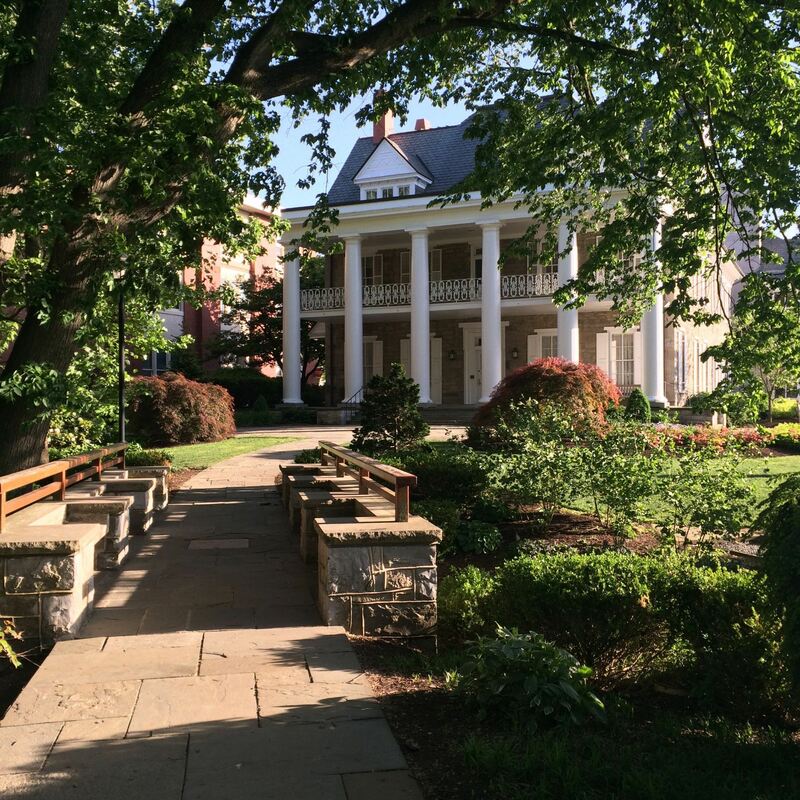 We hope you can find the time to enjoy a walk through campus; summer is a beautiful time of year at University Park. If you haven’t yet, we recommend taking a midday stroll to the duck pond located near the Hintz Family Alumni Center building. 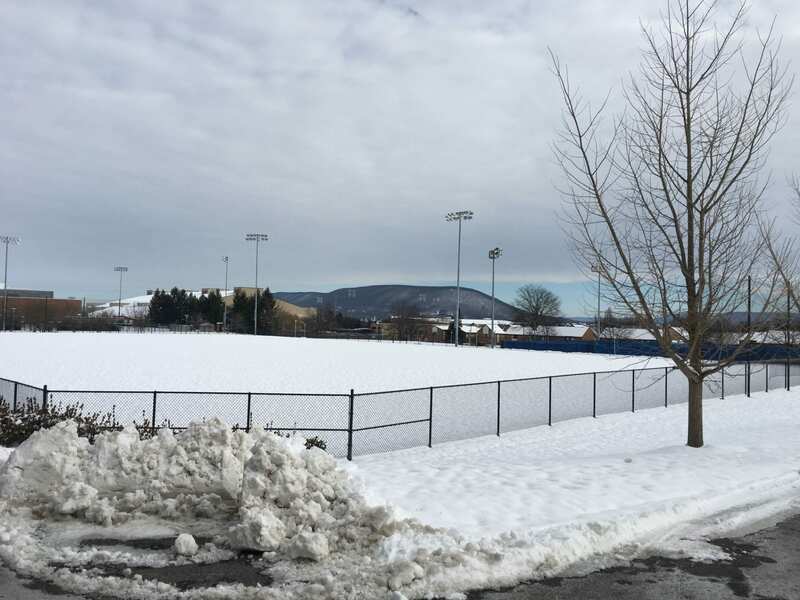 Most IECP students, faculty, and staff will remember the spring 2018 semester as one of the coldest in recent memory. Winter seemed to want to stay in Happy Valley as long as possible! 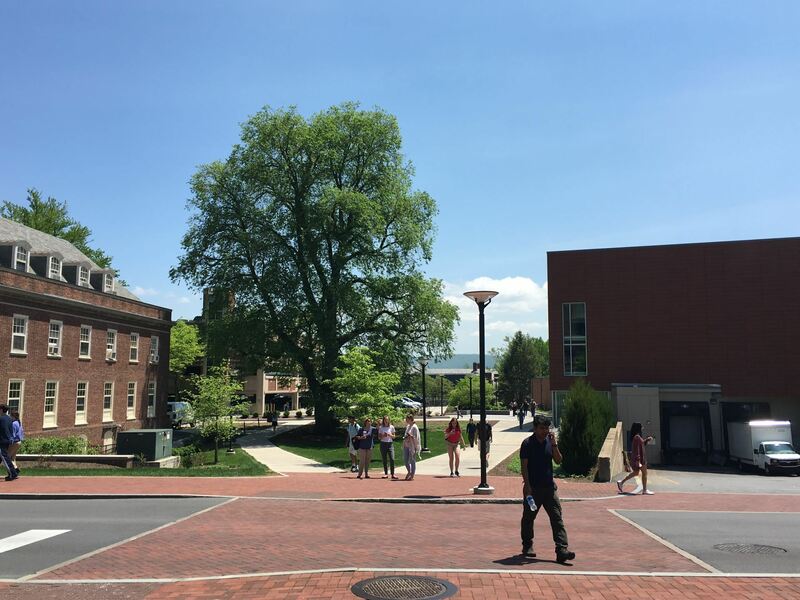 However, it is now May 4, the last day of exam week on Penn State’s campus, and it would appear that we’ve gone straight to summer. 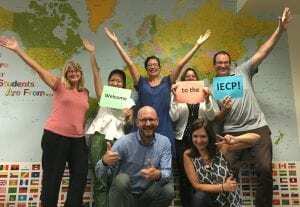 In fact, the IECP is now preparing for the arrival of its new summer students on Monday. 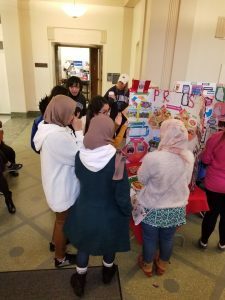 At the IECP, food is an important part of culture that brings us together. 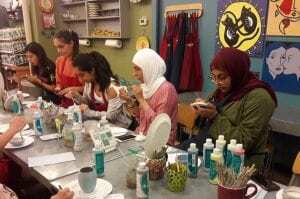 This spring, we didn’t pass on any opportunity to eat and have fun while learning! IECP instructor and Assistant Professor of Applied Linguistics Julie George led several Spelling Workshops hosted by the ITC (IECP Tutoring Center). Julie has already worked several semesters with the ITC designing workshops for students. Thank you Julie! On April 4, Nikki Mattson’s Ai130 students presented their posters with their conversation partners from WLED 444 (a PSU class in the World Language Education program). The student pairs did a phenomenal job creating posters and sharing what they learned with the attendees! Students enjoyed a visit to DC during the cherry blossom festival on Saturday, April 7. 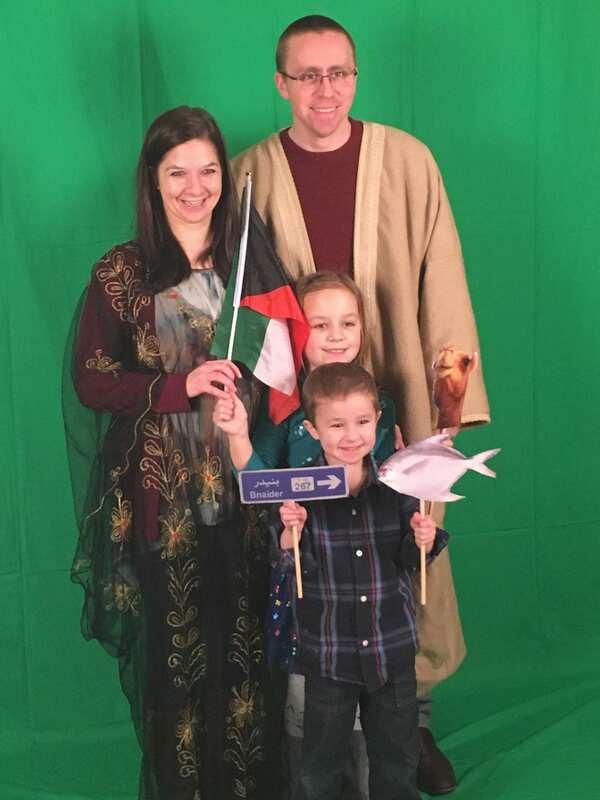 IECP Director Jason Litzenberg joined in the fun as well. Nikki Mattson, Associate Professor of Applied Linguistics in the IECP, was named the recipient of the 2018 Outstanding Teaching Award for Teaching Faculty in the College of Liberal Arts! Congratulations Nikki! 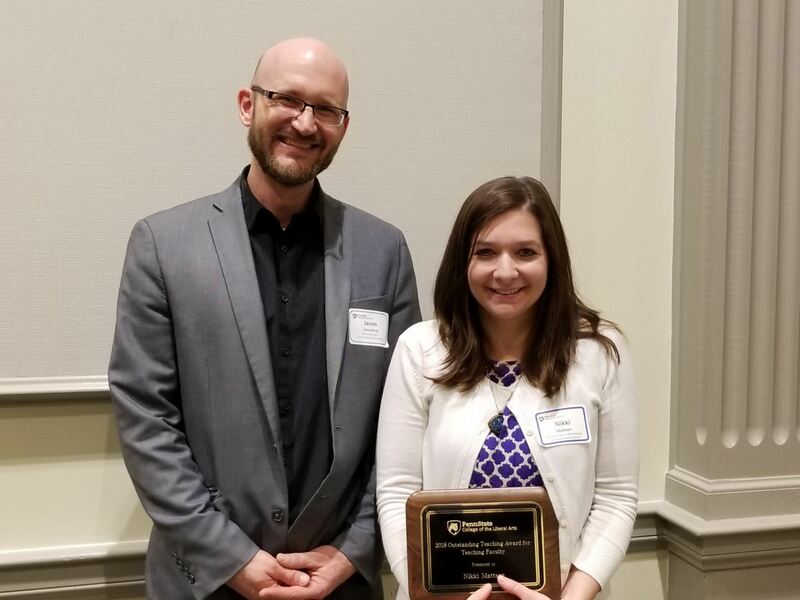 Jackie Gianico, IECP instructor and Associate Director of Academics, received a promotion from Assistant to Associate Professor of Applied Linguistics. Congratulations Jackie! IECP student Sultan Aljohani was named a winner of the Penn State Libraries Short Story Contest “New Beginnings”. His short story titled “A Seed” garnered the most public votes. Congratulations Sultan! For more information click here. 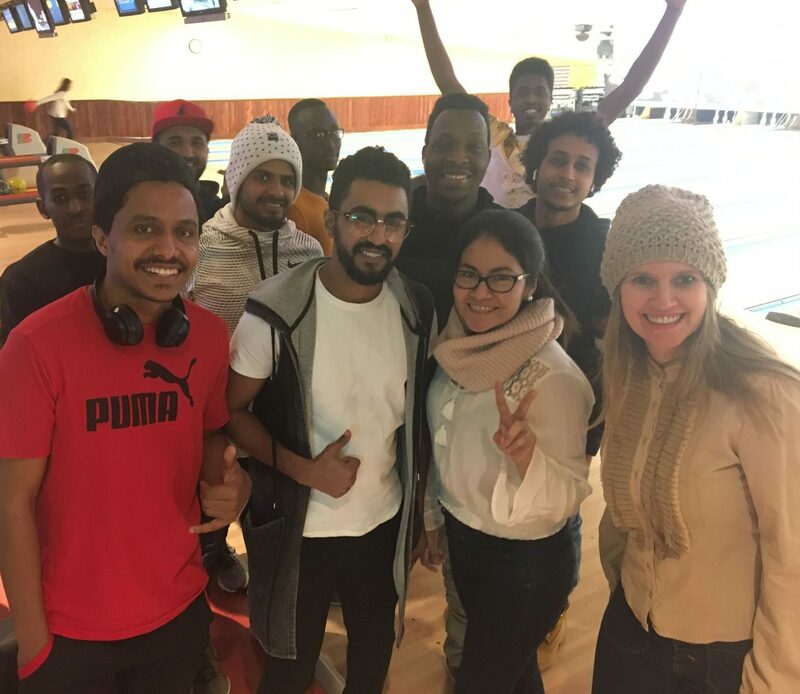 The IECP wishes the best of luck to the Royal Saudi Naval students that have worked hard towards their goals for nearly a year here in Happy Valley. They were a group of hard working students and will be missed. Good luck in Pensacola! Congratulations to everyone on a semester full of learning, fun, and community. We at the IECP wish you all the best in your future personal and academic endeavors. We look forward to seeing some of you again in the summer and fall! And we all welcome the new warm weather! Cheers! Goodbye February exams, hello March break! 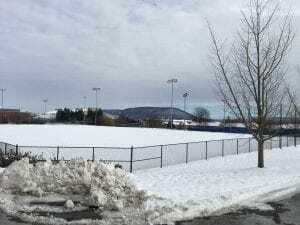 After several days a spring-like weather, today State College woke up to snow! It seems ironic being the day before spring recess; nonetheless, IECP students are ready for (and deserving of) a break from classes! 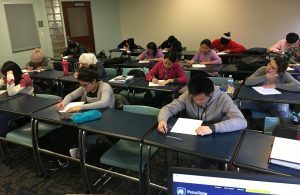 Students recently wrapped up a very busy month of February that included the usual project and quizzes, but also midterm exams. For their Academic Literacies midterm, students did a reading and writing exam, while for the Academic Interactions exam, most students did a listening and speaking exam. 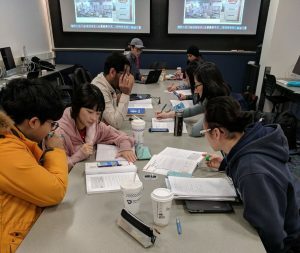 Midterm season is always a busy and stressful time for both students and faculty. Naturally, there needs to some time schedule in for fun. 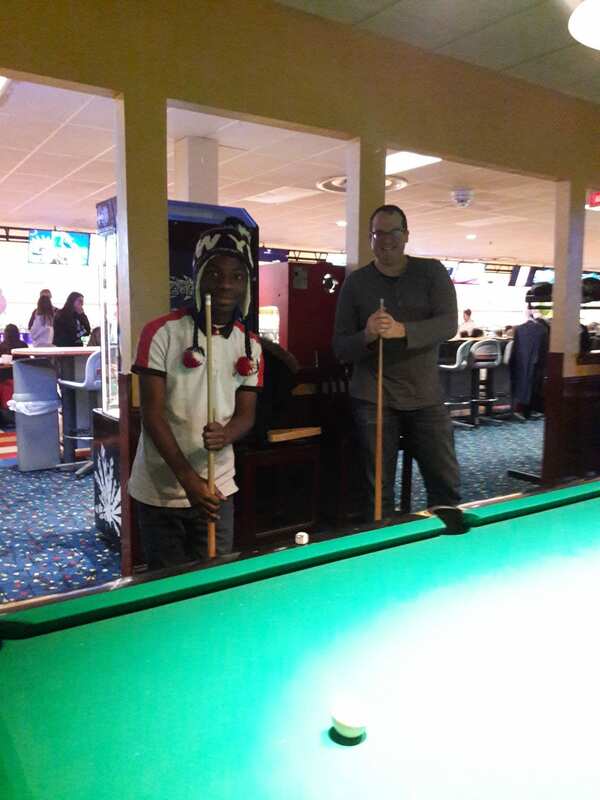 And the IECP definitely knows how to have fun! 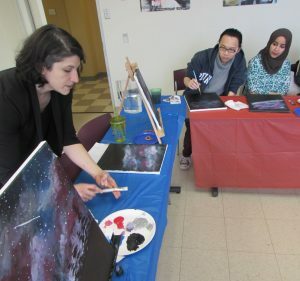 Students enjoyed several activities these past few weeks, including bowling and billiards, the PSU Pink Zone basketball game, and a paint night instructed by IECP Associate Director of Academics, Jackie Gianico! 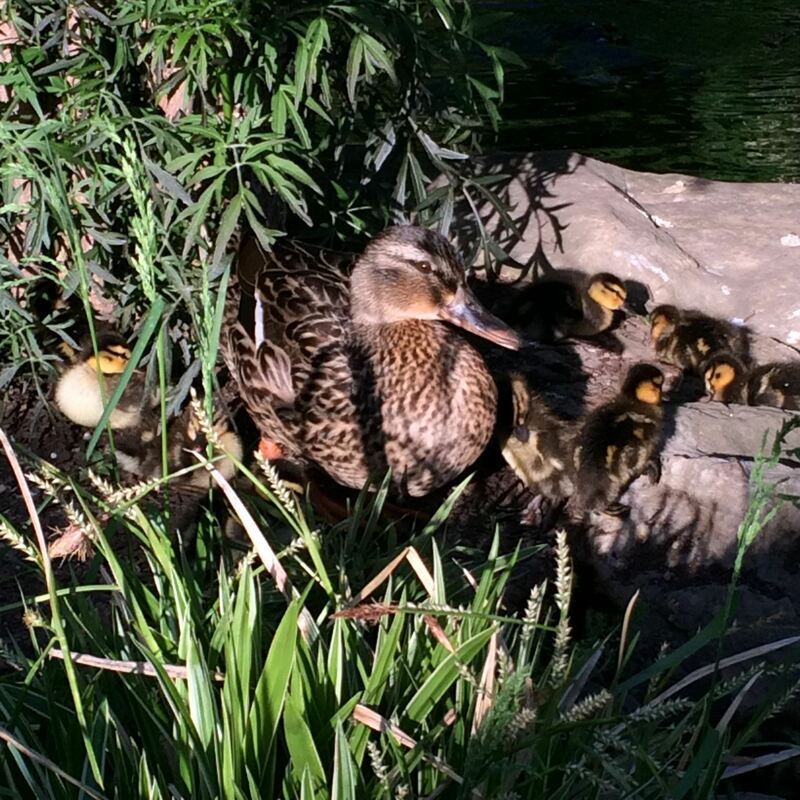 We hope everyone has a restful spring break! We look forward to seeing you back in class on Monday, March 12. 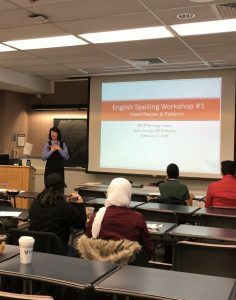 It may feel like the semester has just begun, but the spring term is well underway for IECP students, faculty and staff. Students are already deeply involved in their studies and projects with the guiding help of their instructors. In addition to the expected reading and writing, listening and speaking tasks, IECP students are making blog posts, participating in discussion circles, submitting videos, conducting interviews, and of course, studying for quizzes. 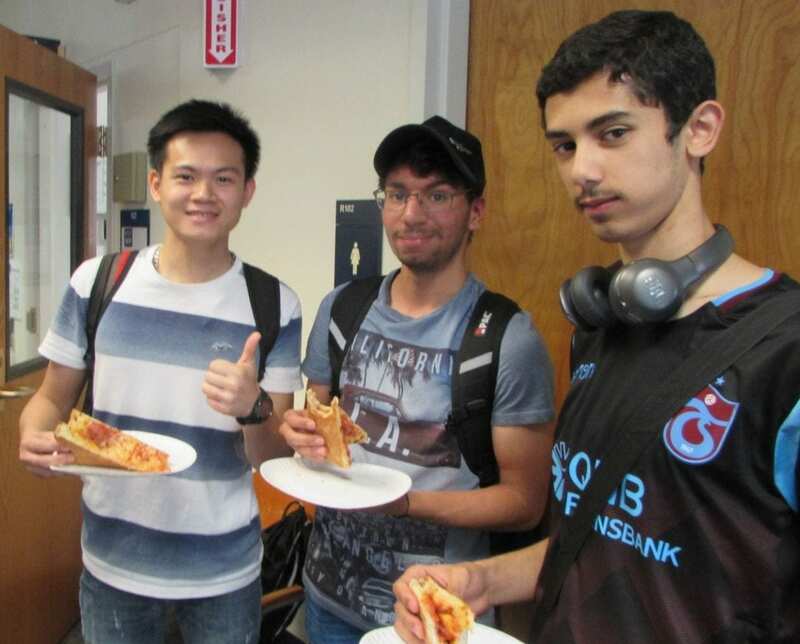 To celebrate the first week hard work, students and faculty enjoyed a pizza party lunch break. 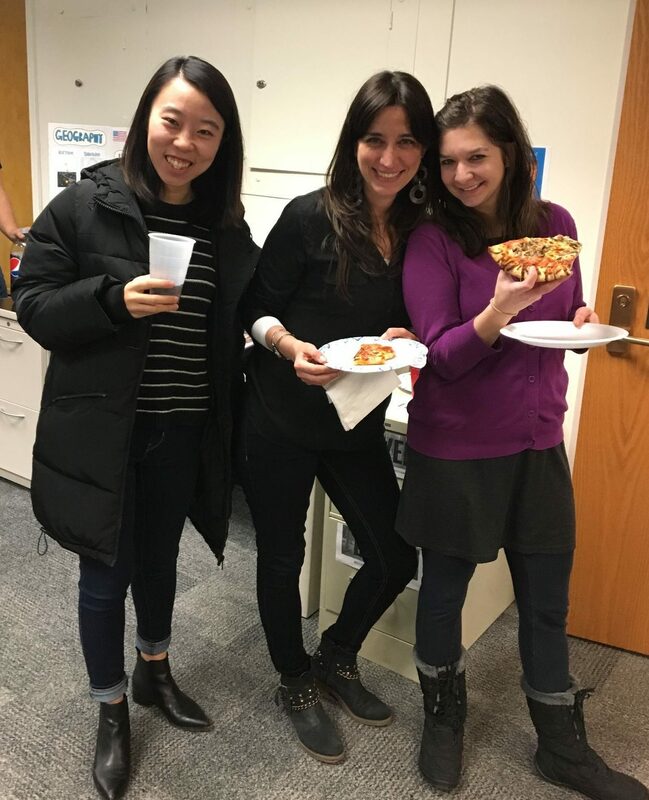 A favorite social event at the IECP, the pizza party means students and faculty temporarily take over the Ritenour lobby to relax, chat, and enjoy some slices.